This Grinding Cup Wheel fit on single & dual head floor grinder to grinding concrete floor with high-production grinding a smoother finish on rough or uneven concrete surface. The arrow segment on the Abrasive Wheels can be applied from soft to abrasive concrete.The diameter of the diamond grinding wheel is range from 4inch to 7 inch. We offer different diamond grits according to your requirement of surface quality level. -Install on angel grinders, floor grinding machines. We can manufacure 1000 pieces of arrow-seg cup wheel per month. Each grindind disc have its separated box, 20 pieces into one carton. Delivery Time-Normally, for bulk order, delivery time is usually 3 weeks after payment confirmed. We will send these grinding disc as your preference, sending by express, by air, by sea. -We can also help design full solution of custom packaging. 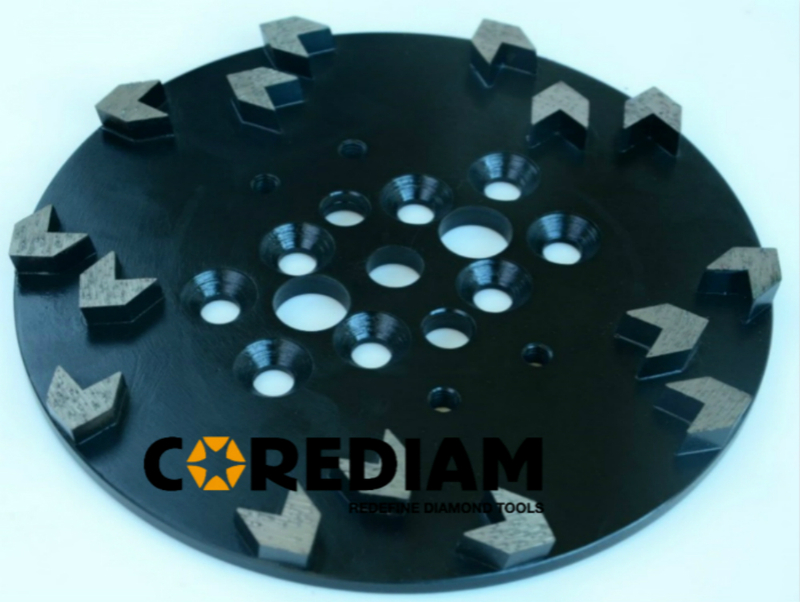 Looking for ideal 115mm Grinding Disc with Arrow Segments Manufacturer & supplier ? We have a wide selection at great prices to help you get creative. 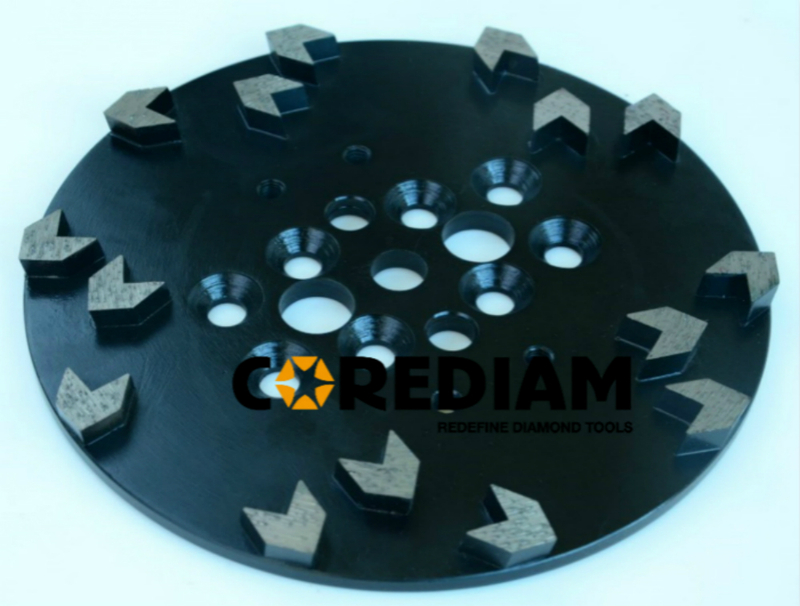 All the 115mm Arrow Segment Grinding Plate are quality guaranteed. We are China Origin Factory of 115mm High Quality Arrow Grinding Disc. If you have any question, please feel free to contact us.